An intimate tour of one of the world’s foremost private gardens, Les Quatre Vents. 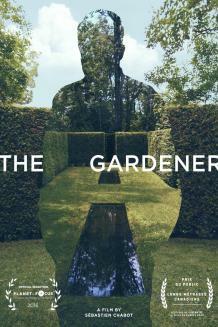 “The Gardener is a documentary reflecting on the meaning of gardening and its impact on our lives. Shortly before his passing at the age of 86, influential gardener and horticulturalist Frank Cabot recounts his personal quest for perfection at Les Quatre Vents, his 20-acre English style garden and summer estate that was opened to a film crew for the first time ever. Through the words of Cabot and his family, and with the participation of gardening experts and writers as well as former Governor General Adrienne Clarkson, this visually stunning film explores this remarkable man’s personal story and the artistic philosophy that gave birth to one of the greatest gardens in the world. Step into Les Quatre Vents and be inspired. Read the Full, amazing review and director interview about this film below!